When I joined the BuzzFeed News team, Ben Smith described me as “a person who comes from the Internet.” I could hear the scoffs from the far reaches of curmudgeon Twitter, a social network extremely well suited to people who traffic in words and wit and pith. But I do come from the Internet. I built my first webpage sometime in the late 1990s, artisanally: hand coded in HTML and rudimentary CSS in a text document, and then uploaded via FTP to the Unix box of a friend I’d met on a local IRC channel, the Slack of that era. It featured angst-ridden teenaged poetry and a password-protected “weblog” as well as a guestbook — the original comments — and a visitor counter. This was a time of Usenet, of bulletin board systems, of dialup accessed via 14.4k modems, of dot matrix printers and files shared via floppy disk. But the future, to quote Financial Times editor Lionel Barber, is “text-plus.” To succeed in this future, media organizations must become fluent in an increasingly visual idiom. Photographers, photo editors, and stalwarts of the picture desk, rejoice. We need you now, again, and more than ever. But for all that, we are not quite “post-text.” For the billions of people whose Internet is very much like the one I grew up with — sporadic if available; delivered through underpowered devices with limited and slow data packages, if any — the text message is still king. What is the future if not unevenly distributed? 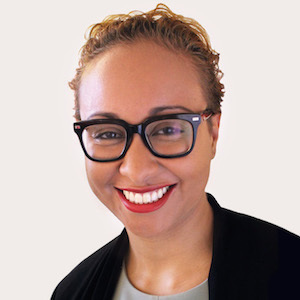 Stacy-Marie Ishmael is editor of BuzzFeed’s upcoming news app.